Is she a modern history re-enactor, snapped on a digital camera? Too fuzzy, I suppose. Perhaps a late 80's photo, taken during the reawakening of Armenian identity under glasnost? 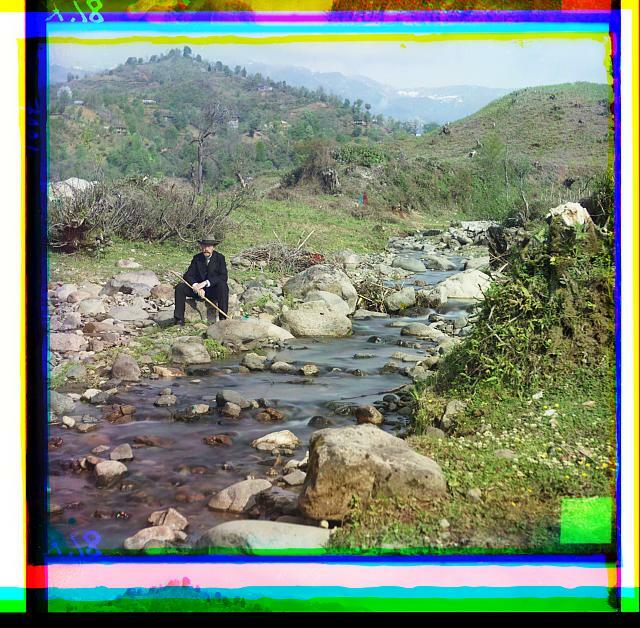 The quality of the image, the vibrancy of the colours, would suggest it was taken after the Second World War anyway, right? That's right, the above photo was taken in 1910. 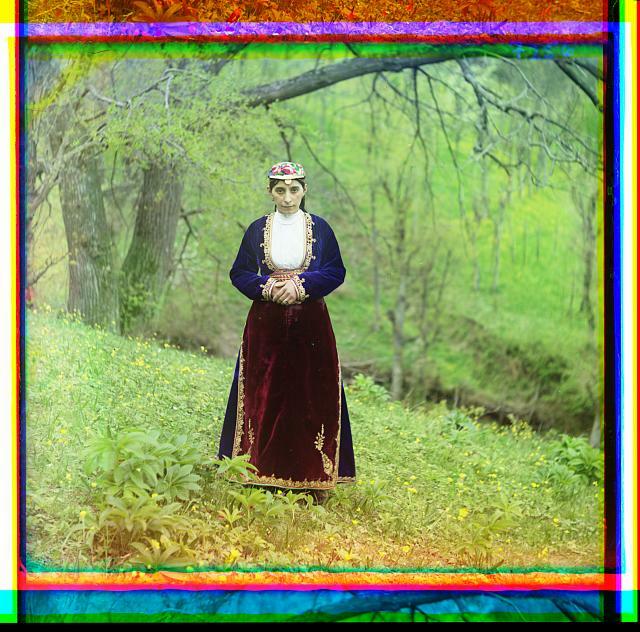 It's from a collection by Sergei Mikhailovich Prokudin-Gorskii (1863-1944) of photos taken throughout the south of the Tsarist Empire, which has just been made available by the Library of Congress. You can view the remainder on the Boston.com Big Picture website. Do go and have a look, they're breathtaking. An equivalent collection of Irish pictures is available here (H/T to 2Pack on thepropertypin.com as well).